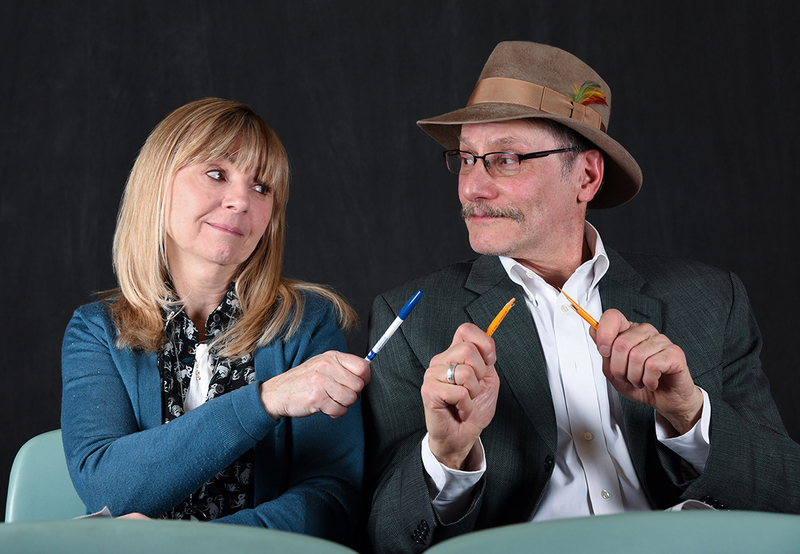 February 17-19, 2017 (Fri-Sun)In this charming, literate comedy, two strangers--a psychologist and an unemployed ad man--find themselves alone on a San Francisco commuter train at 4 a.m., each doing their New York Times crossword puzzles. By the time they reach their destination, it’s clear that each of them has been changed. Even before their crosswords are solved, they find that they may have solved the puzzles of their own lives. Director: David Carta is very active in the region’s film and theater community, providing production and technical assistance. A member of the Theater Voices board, he stage-managed seven productions, including last season’s Outside Mullingar as well as serving as producer of The Shape of Things. Last February, David made his directorial debut with I Am My Own Wife (Creative License). He has worked professionally in film, as a set dresser and props assistant. David is a founding member of Poorduction Productions, which produces a local web series, Mix & Master.